This issue comes at a particularly important moment in that many museum educators – across racial lines – are seeking scholarship to make sense of the ways in which racism shapes museum education. While there has been little written about the historical dimensions of racism in museums, nor strategies to identify and combat it, this edited issue will build on three recent collections of essays – Multiculturalism in Art Museums Today, the March 2017 issue of the Journal of Museum Education on “Race, Dialogue and Inclusion: A Museum on the National Stage,” and the upcoming volume, The Arts as White Property: Interrogating Racism within Arts in Education – that have begun to lay the ground for a more concerted effort to talk about racism in museums. To live up to their roles as spaces for civic engagement and public accessibility, museums must transform how they address institutionalized racism. As educators, we have a responsibility to be actively engaged citizens who are willing and able to bring the conditions of the world into the museums. To do so requires both an understanding of the ways in which museums can perpetuate inequality as well as how we can work to dismantle systems of injustice in our everyday practices. An organization committed to social bridging understands it is not just part of a professional network, but part of a local network of people and institutions. It must assess its place beyond the art world in order to understand which local networks it can join, and what kinds of relationships it might facilitate. Who is in the community that we might learn from? Who might benefit from meeting one another? 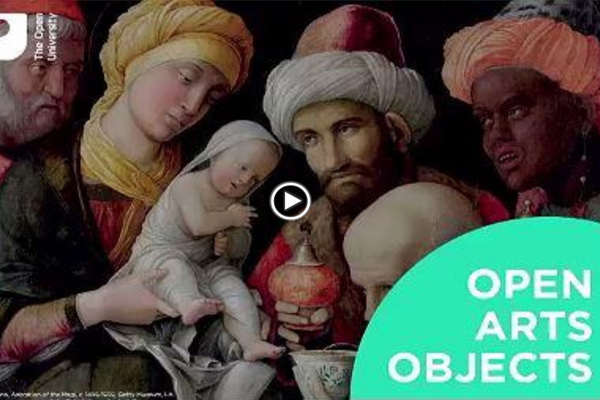 Open Arts Objects provides free open access films (over 35) on select works of art from museums around the world, accompanied by free teaching resources. This project is part of the current strategy within the Open University to develop a series of public facing initiatives that can help inspire wider and diverse constituencies to enjoy and understand art works and visual culture. For decades the country’s mainstream art museums have excluded people of color — from their top leadership to the curators who create shows to the artists they display on their walls. Now, eager to attract a broader cross-section of visitors at a time when the country’s demographics are changing — and, in New York, facing an ultimatum linking city funding to inclusion plans — a growing number of museums are addressing diversity with new urgency. From the Museum of Contemporary Art Chicago to the Whitney Museum of American Art in New York to the Los Angeles County Museum of Art (Lacma), they are hiring more minority staff members, offering paid internships and partnering with foundations and universities that fund curatorial jobs, to ensure that the next generation of leaders of color get into the pipeline. Last year, AAM’s Inclusion Team introduced a number of new offerings at the AAM Annual Meeting designed to create a more welcoming and inclusive environment for all attendees. This year, the Inclusion Team has led the effort to create a Code of Conduct for AAM events.This Code of Conduct, introduced in April 2018, is based on the example policy from the Geek Feminism wiki and uses language with permission from the Nonprofit Technology Conference’s Code of Conduct. Created by The Minneapolis Institute of Art, in collaboration with stakeholders across the field, MASS Action is a platform for public dialogues on a variety of topics and issues affecting our communities locally and globally, leading to actionable practices for greater equity and inclusion in our institutions. In thinking about museums as “sites for social action,” MASS Action has created a comprehensive guide that outlines the theory and tools for practice towards creating greater equity within the museum field. 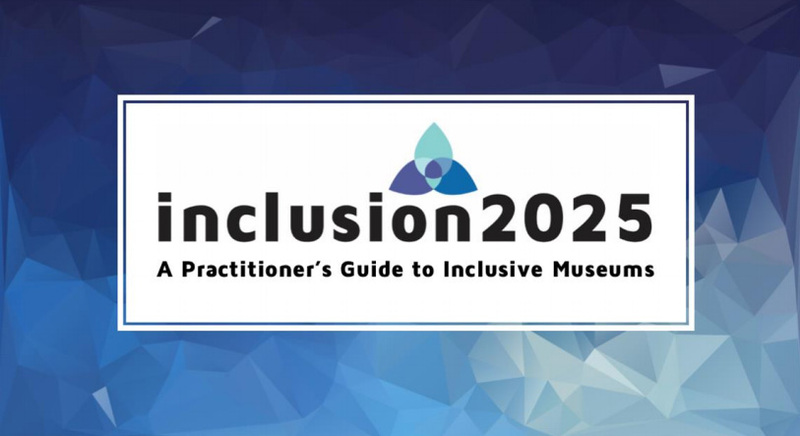 This guide is one of many components of the Museum Accessibility, Inclusion and Engagement Collaborative (MAIEC) project that was launched in December of 2015 by the Ontario Museum Association (OMA), the Royal Ontario Museum (ROM) and the Canadian Centre for Diversity and Inclusion (CCDI). The MAIEC project is our response to the challenge we posed to the broader museum community in the 2016 Conference, and a recognition of the needs we face as a sector to do better, and continue doing better, in truly being inclusive to the communities we serve. Roberto Tejada, CAA’s newly elected vice president for diversity and inclusion and Hugh Roy and Lillie Cranz Cullen Distinguished Professor in the Departments of English and Art History at University of Houston, spoke with Hunter O’Hanian, CAA’s executive director, about the state of the field and why achieving true diversity is so difficult in the arts field.